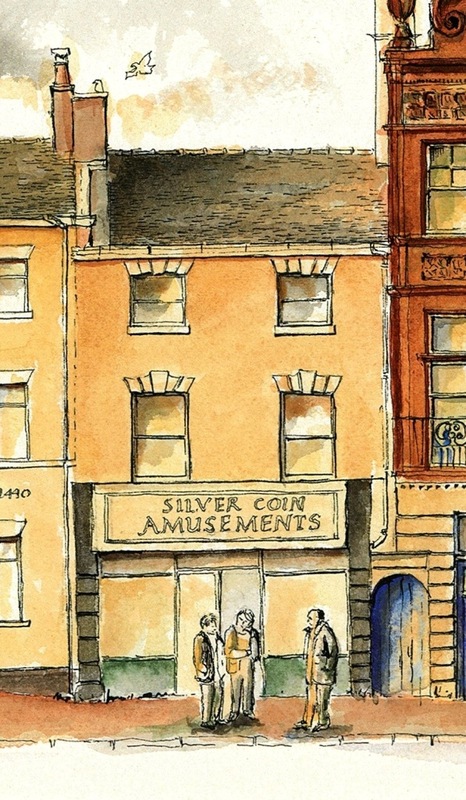 Silver Coin Amusements – these kind ladies made me a cup of coffee – thanks ! 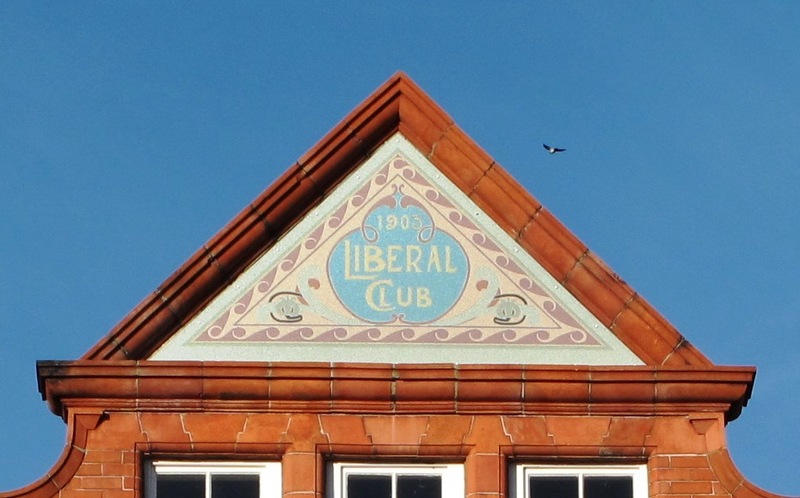 Liberal Club, 1892, Market Place, Burslem – these lovely blues are painted with lapis lazuli pigment. This fine 19th century building has beautiful ceramic tiles at the gable apex and was once used as meeting rooms for the Liberal Club. Ceramic tile Detail at the apex of the former Liberal Club. Note the date of the tiling is nine years after the date shown on the brickwork below. 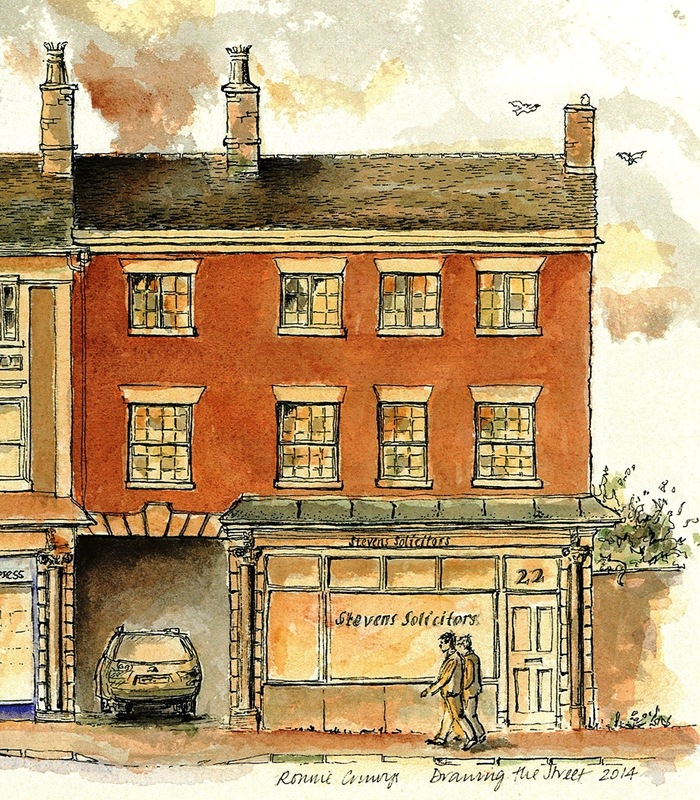 The date 1892 AD, is beautifully crafted in terracotta and built into the facade. 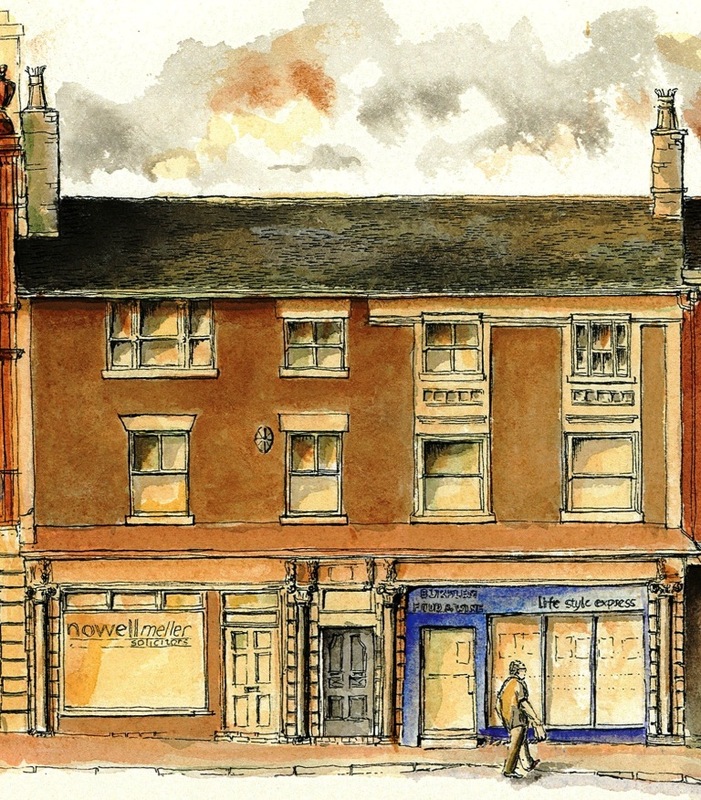 It is wonderful to see that since its state of dereliction it has been repaired under the Burslem THI scheme. 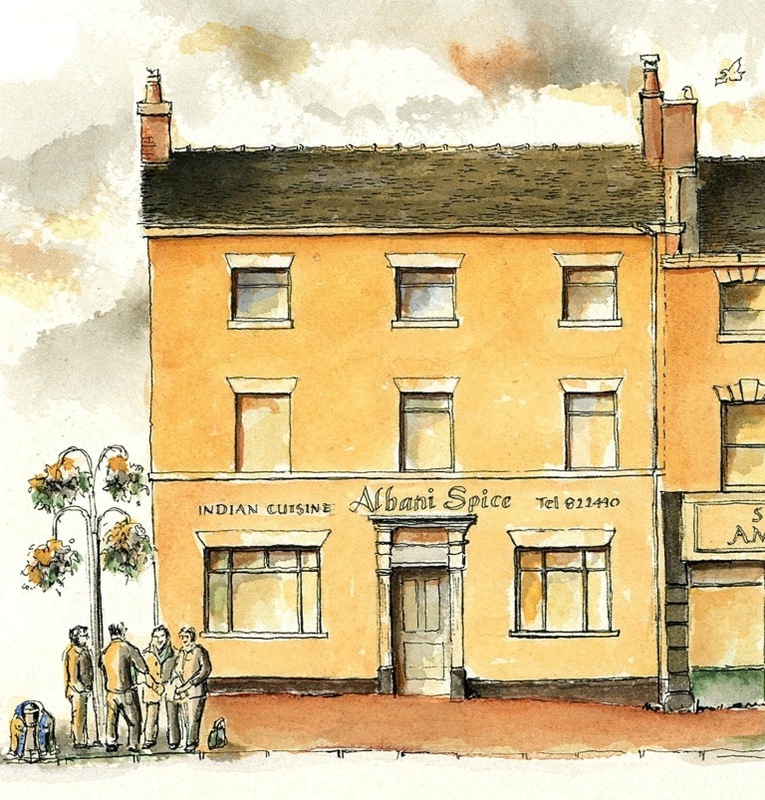 This entry was posted in architecture, building conservation, Burslem Drawings, Burslem Regeneration Company, Burslem Townscape Heritage Initiative, drawing and tagged Albani Spice, Burslem, Burslem Conservation area, CAB Insurance Brokers, liberal Club, Nowell Mellor Solicitors Burslem, Silver Coin Amusements Burslem, Stevens Solicitors Burslem. Bookmark the permalink.